So you have a US Netflix subscription, but you’re out of the country, so you want to watch the content you’ve paid for in an all legal and above board way, right? OK, OK. You just have a normal, second-class-citizen non-US Netflix account, but you want to watch the good stuff the year it comes out. But you already know you’re going to have to do some work to get there. Netflix bows to copyright holders when it comes to geographical restrictions. These restrictions are anachronistic – they belong to a time when different distribution nets had to be dealt with on the ground. Then, it could be argued that these restrictions made some kind of sense. Now, they’re transparently insane: they take the world wide web, and make it regional. Hulu is just for the US; BBC iPlayer just for British people. So if you’re an American Doctor Who fan you have to wait until an American network buys the show and agrees to run it. Even though you could just do that yourself by watching it on iPlayer if they didn’t devote time, energy and money to actively stopping you. But you can still get your favo(u)rite shows using a VPN. However, Netflix also bows to its copyright holders when it comes to VPNs. Back in 2016 Netflix announced that it would be blocking VPNs, though it didn’t go into detail ‘for obvious reasons. So how do you get to the good stuff now? To beat the block you have to be the block. I mean, you have to know a little bit about how the block works. VPN blocks work three ways. This just blocks access to the site from a specific IP address. The focus is usually on blocking either known servers of the most popular VPNs, or of small VPNs with few servers, because they’re easy to identify. Many VPNs aren’t IP blocked and you can freely use their servers to connect to Netflix. To find out if your VPN is on the list, go to whoer.net. You need a VPN that has a lot of servers and that cycles between them regularly to have a shot at getting through. 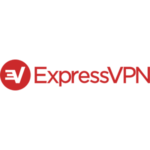 See our list of great VPNs for streaming here. Secure Sockets Layer (SSL) uses TCP port 443. Layer Two Tunneling Protocol (L2TP) uses TCP port 1701 and is an extension of the Point-to-Point Tunneling Protocol. So if you know which ports a VPN protocol uses, you can block those ports and thus shut out all VPNs that use that protocol. Clever. But it can be beaten. There’s a port that sites can’t really shut down, because they rely on it for the most important thing in their digital lives: taking your money. I’m talking about port 443. When you do something online that requires a high degree of privacy, like handing over your credit card information to watch TV shows that have been out in America for three years already, you’ll be switched over to port 443 – the most secure port, with an additional layer of encryption that looks very similar to the Secure Socket layer encryption protocol that VPNs use. That means traffic through port 443 looks a lot like VPN traffic anyway, and no-one is shutting port 443. You need the configuration file for your vPN. If you’re a Windows user it’s in C:\Program Files (x86)\OpenVPN\config. If you’re a Mac user, it’s Library/openvpn in your Home folder. Open the config file in a text program like TextEditor. All your VPN traffic should now be going through TCP port 443. If you run into any trouble with this, get in touch with your VPN’s tech desk! DPI works by looking at the contents of the data packets you send and receive. The site can’t see what is actually in the packets because they’re encrypted. But it can see the data header in the packet – kind of like the address on an envelope. And that tells it you’re using a VPN. To do this simply, find a VPN that offers stealth mode. Stealth VPNs alter the outward appearance of the data in their packets so they look like normal encrypted web traffic, and they don’t set off Netflix’s VPN klaxon. To enjoy your TV shows without waiting for them to trickle down to your area, you’ll need to beat the geoblocking that sites like Netflix use. And to do that, you’ll need to conceal the fact that you’re using a VPN. Many VPNs have these features built in already. You can do some messing around under the hood yourself if you want to stick with the VPN you already have. Now, have at it, and remember: they can take our lives, but they’ll never take the 13th season of Supernatural.